Cook's Tip: You may substitute old fashioned oats, ground or quick oats for Panko bread crumbs. January 1920 saw the banning of the manufacture , transportation, importation and sale of intoxicating liquors in the United States with the passing of the 18th amendment. 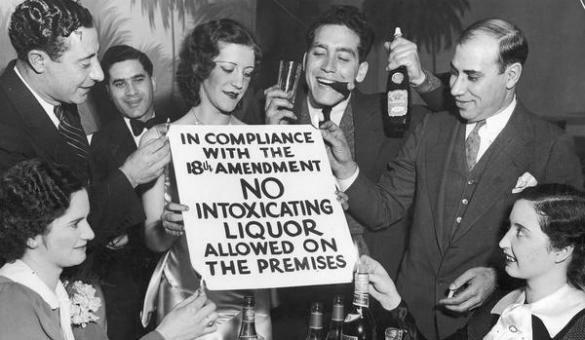 The era of Prohibition would be started with the passing of the amendment. For some it was the finish line for a goal that many temperance organizations strived for. For others it ushered in a new occupation of bootlegging . The era of bootlegging was accompanied by the "Jazz age". The way the legal system was seen by the population would change as well. Enforcing the prohibition laws would lead to a world of mobsters and notorious criminals. Here in Southern Illinois it was the Shelton Gang that seemed to control part of the area. Thus the era of bootlegging and the romance of it started. 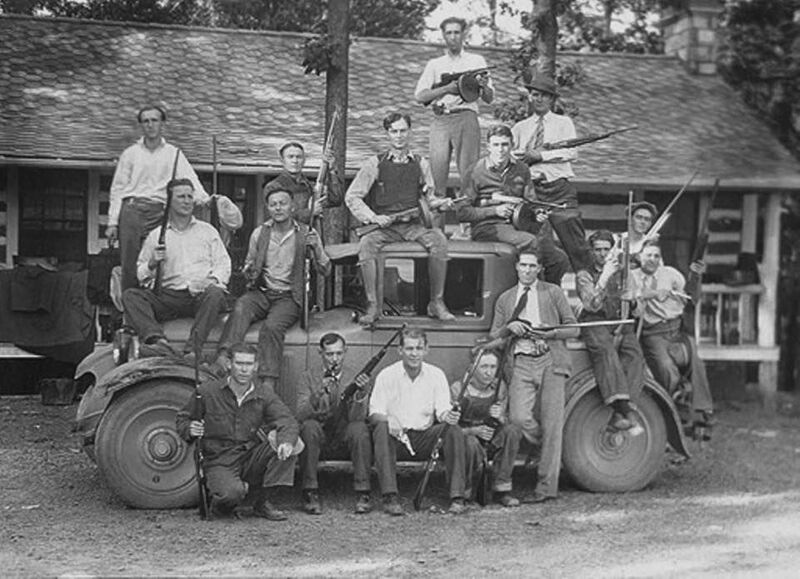 The Shelton Brothers Gang was a prohibition era bootlegging gang based in southern Illinois. Rivals of the group was bootlegger Charles Birger and his gang. The Shelton gang can trace their roots back to Ireland "Hunter" family. Brothers Carl, Earl, and Bernie "Red" Shelton all lived in Wayne County Illinois. The gang operated in near by Williamson County Illinois. The game of making moonshine and other illegal alcoholic beverages was under way. The Shelton gang would soon dominate the worlds of gambling and alcohol production in Little Egypt. However, Charles Birger would offer competition to the bootlegging gang. The Shelton Brothers would be defeated when put on trial for an unsolved murder. They would be convicted and sentenced to 25 years in prison. After the brothers went to prison Birger would take over the bootlegging population til he met his end in 1928 when he was hanged for threats of murder. gochugaru--- red chili flakes This ingredient is found in many Korean dishes and is made by drying Korean red chili peppers in the sun, de-seeding them and crushing them into flakes. Brown the ground beef over medium-high heat in a large pot, and season with salt and pepper. Saute until cooked through. Using a slotted spoon, transfer the beef to a bowl and set aside. Add the onions to the pan with the remaining fat and cook over medium-high heat until soft. Add the garlic and kimchi and cook 2 minutes. Add the gochugaru and cumin – cook another 2 minutes. Add 1 cup of veggie stock, scraping up any brown bits. Bring to a boil and then reduce the heat to medium-high and cook until reduced and thickened – approximately 10 minutes. Return the beef to the pot and add the sweet potato, remaining veggie stock, tomato sauce and chipotle pepper, and 1¼ teaspoons salt. Bring to a boil and then reduce heat to medium. Simmer, uncovered for 20-30 minutes – until you have reached the desired consistency. 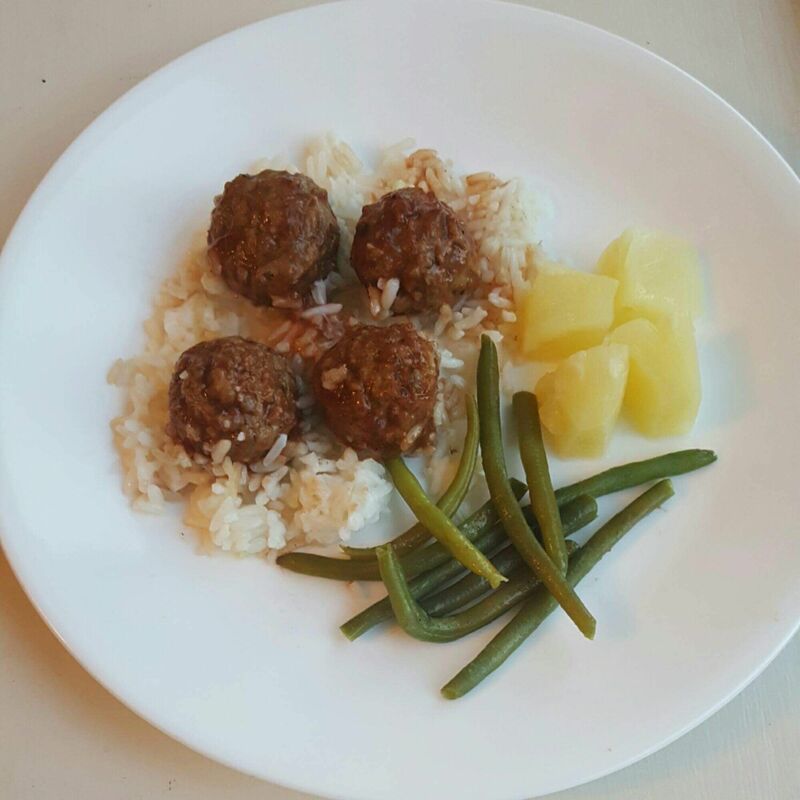 Serve with coconut yogurt and scallions. Quinoa is a health food with lots of popularity. It is gluten free, high in protein and a plant food that contains all nine essential amino acids. Quinoa is also high in fiber, magnesium, vitamins B, iron, potassium, calcium, phosphorus, vitamin E and a variety of beneficial antioxidants. 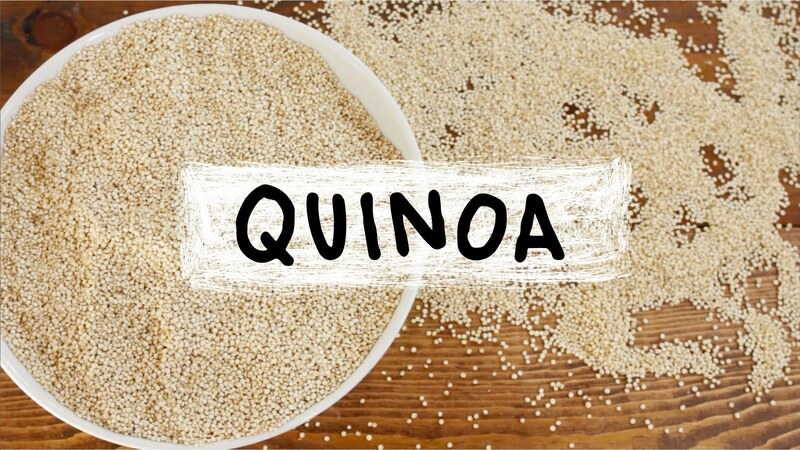 Quinoa is a grain crop that is grown from edible seeds. While it starts with the letters Qu it is pronounced Keen-wah. A pseudo - cereal that is more truly a seed is prepared and eaten like grain. The Inca Empire used quinoa like a cash crop and often called it "mother of all grains" This superfood of today found in many places around the world and sold in health food stores and restaurants has been eaten for thousands of years in South America. All that nutrition with only 222 calories, 39 grams of carbs and 4 grams of fat. Measure the amount of quinoa you want. In this recipe we use 1/4 cup of dry quinoa. You could certainly make 1 cup and then divide it into fourths for four make ahead breakfasts. Rinse the quinoa. I would argue that this is an important step that you don’t want to skip. There is a certain bitterness to quinoa that you get rid of when you rinse it. Whatever amount of quinoa you are making, add double the amount of water. So if you stick with the 1/4 cup dry quinoa, add 1/2 cup of water. If you are making more ahead of time and add 1 cup of dry quinoa, add 2 cups of water. In a small saucepan bring the rinsed dry quinoa and the water to a boil. Once it is boiling, cover it, turn the heat all the way down (but not off) and set your timer for 15 minutes. When the timer goes off, the quinoa should have absorbed all the water. Remove it from the heat, fluff it with a fork and you are ready to go! 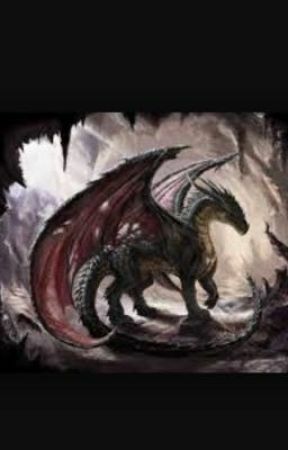 Dragons are known worldwide as a mythological creature. They are popular in books, films and on T.V. 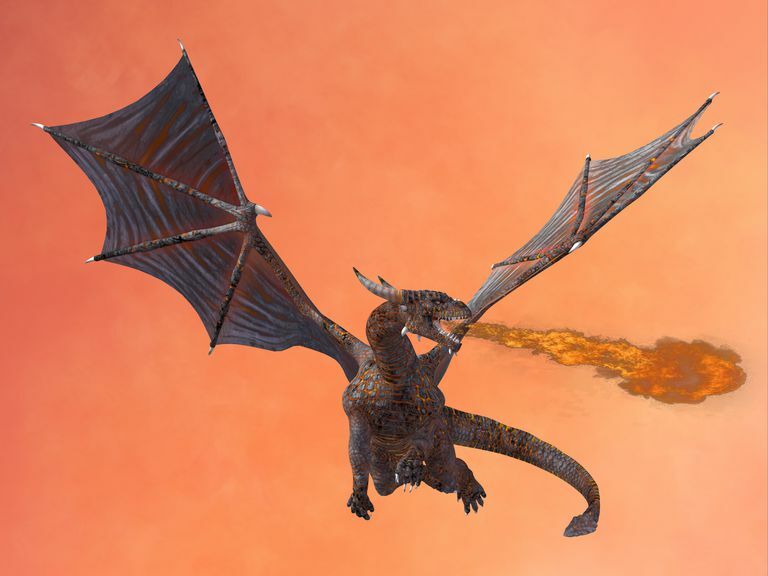 shows Dragons have been shown in many forms from snake like, winged, and tall fire breathing creatures. But could they have ever truthly lived on the earth as demonstrated?? Whenever dragons are thought of they are always reptilian in nature. Reptiles started out in the Mesozoic era. The era lasted nearly 200 million years and took place around 66 million years ago according to scientist. It was the "age of Reptiles" The most famous among this Mesozoic reptiles were the dinosaurs. The chinese as well as paleontologist have often thought of dragons when finding dinosaur bones Dragons fabricated appearance and hunger for large prey leaves one to imagine they would have been closely related to predators like the Tyrannosaurus Rex. However, there are many that would not go that far instead pointing out differences that would have placed them into different evolutionary scenarios. Dragons are like chameleons adapting to the cultural and literary expectations of the era. They are found in mythology as powerful and fearsome opponents that must be slain. Christians have created legends where godly saints battled and vanquished Satan who is in the form of dragons. The knight is the hero of the story getting the girl, killing the dragon and leading the towns people to victory. However, were the medieval dragons real or merely stories passed down through the years. Komodo Dragons were spotted by sailors a few hundred years ago The monitor lizard which is not only aggressive but deadly and can reach 10 feet tall. In 1910 the Komodo dragon was found by scientists. The average size of a male weighs around 200 lbs. Females are a bit smaller at around 6 feet long These dragons come in a variety of colors including blue, orange, green and gray. Their skin is rough and reinforced with bony plates, their claws are long and their tail is muscular. Komodo dragons can spot from a distance and while speedy they would rather wait until the prey crosses their path. The dragon's tongue is very similar to that of a snake using it for sense of smell as well. Komodo dragons are rare and only found in the wild on five islands. These lizard's live anywhere from the tropical dry forest to a savanna of deciduous monsoon forest. They love extreme dry heat with 70% humidity At nights when the temps lower the Komodos find a burrow to nestle down in. That same burrow helps keep them cool during the day. Komodo dragons are carnivores and fierce hunters that eat a variety of animals. These dragons can eat 80% of their body weight in one feeding Komodo dragons will spring up and knock their prey to the ground and use their sharp, serrated teeth to shred their prey to death. In the case the prey escapes the dragon it will still die within 24 hours due to blood poisoning found in the saliva of the dragon. The state of Michigan gained its name from the Indian word "Ojibwa" Yes, I know that is what I thought there are no real similarities. But when you find out that the Indian word means "Large Lake" and that four of the five Great Lakes border Michigan then you will understand how the two words Michigan and "Ojibwa" are related. In deed, it was the great lakes that drew the settlers in forming large towns along the edge of the lakes. Michigan would become a state in 1837. The states first constitution however was wrote in 1835. The reason for delay was the state line battle it was having with Ohio over the area of Toledo. Eventually on January 26, 1837 President Andrew Jackson signed a bill making Michigan the nation's 26th state. In addition, Michigan would gather land when an area known as Upper Peninsula was added to the state making it the state with the most area. The latest in a long line of encyclopedias arrived on the internet in January 2001. Encyclopedias have been around for quite some time nearly 2,000 years in fact. Prior to Wikipedia our family had a set of hardback book encyclopedias. However, while the old encyclopedias looked great they were not up to date and could not stay up to date. 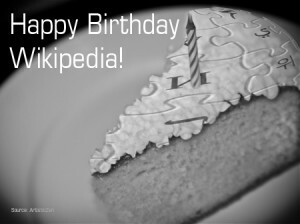 Jimmy Wales and Larry Sanger created Wikipedia in January 2001. Wikipedia is easy to use and offers current information. It was the contributors of Wikipedia created the voluminous Wikipedia became a good reference and an introduction to a subject of interest. Wikipedia has stayed a non profit charitable organization. My family loves easy to make snacks when they are hungry and in a hurry. Does yours?? 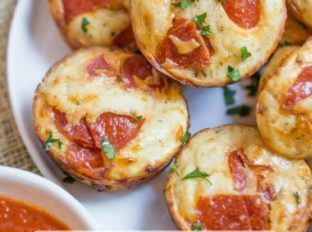 If the answer is yes then more than likely they will love these pepperoni pizza bites. These little bites are a cross between a bagel bite and a pizza muffin. Softer than the prepacked variety but still ooohhh so good. I can recall as a kid on the playground black top shooting around with my friends and pretending that we were one of the great players shooting hoops. My nephew, 14 years old, is no different he loves to play sports and has his own favorite sport players as well. He often pretends as if he is the great Michael Jordan. Perhaps, his love of sports and players is one that is inherited. Michael Jordan is one of the greatest basketball players of all time. Not only a great player but also one of the most effectively marketed athletes. 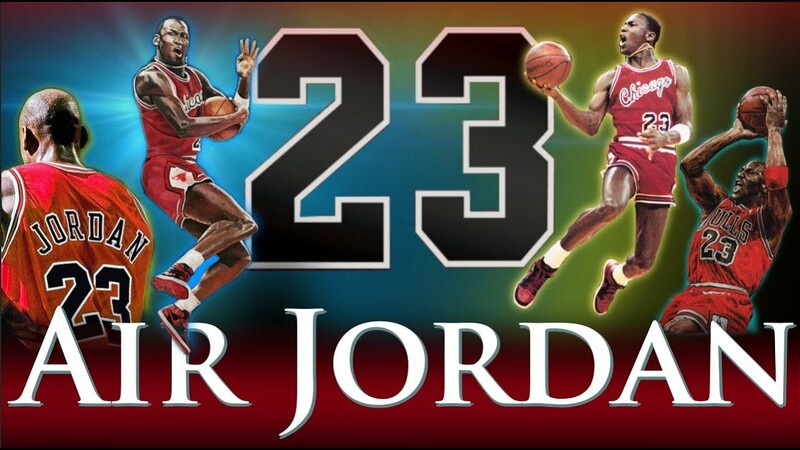 Jordan not only publicized his name but also helped to popularize the NBA during the 1980s and 1990s. Gallantly helping his team win 6 NBA titles, 5 MVP awards, two Olympic Gold Medals and an NCAA title. Considered by many to the greatest scorer and defender of the entire NBA for over a decade. Who was your favorite player?? Do you love music?? Do you love sharing it with others?? Would you like to be paid for spinning the tunes?? If the answers to these questions is yes then you may be the perfect individuals to become a DJ. A musician who works with pre-recorded music in a live environment in order to provide musical entertainment to guests are known as Disc Jockeys. DJs love to create playlists, share the tunes on the radio, internet stations, at dance clubs and bars. They must know trivia and facts about the music that they play and share with others as well. Individuals who are successful DJs know and understand how to operate electronic equipment, the art and musical science of blending and balancing transitions to create cohesive song transitions. A professional DJ is able to operate on a freelance or contract basis. DJ's are allowed to create their own hours and earning potential. DJ's are found in many different places including public events, weddings, birthdays and sporting events. DJ's do not need formal education. The field of education that a DJ must relates to is the art world. There are a variety of art schools that do offer classes to become a DJ. 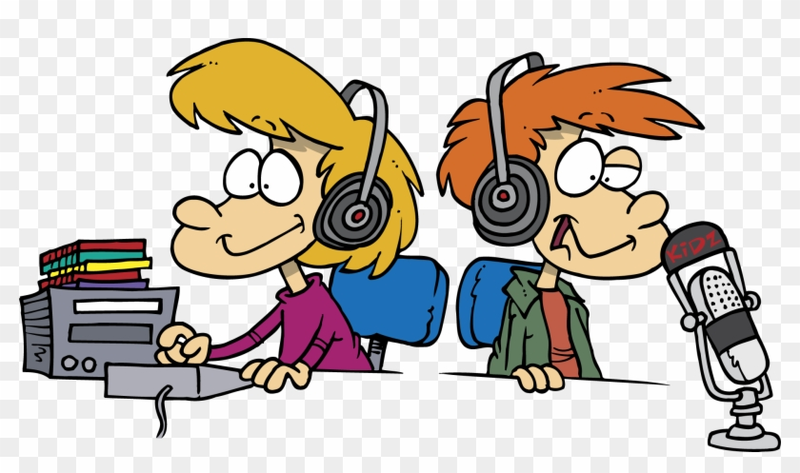 The job of a DJ requires little education or even equipment most professional DJ's possess knowledge as well as equipment to successfully do their job However, if you are committed to the world of sound and music you can earn a Bachelor's Degree in Audio or Sound Engineering . This cheesy make ahead casserole is one that can help make your life a bit easier. Prepare it the night before and then cook when needed. The real reason I love this recipe besides the ease is the great taste. Not only will you want to fix it for your family but also take it to any potluck or gathering you need a covered dish for. Bring water to a boil, reduce heat and simmer at a low bubble for about 30 minutes, until chicken is cooked through. Remove chicken from pot and allow to cool. Once chicken is cool enough to handle, shred enough chicken for a 2 generous cups. Remove 2 cups of the cooking liquid from the pot and reserve for later. Bring the remaining liquid in the pot back to a boil. Cook pasta for about 8 minutes, until al dente. Drain and set aside. Meanwhile, heat olive oil in a large skillet over medium heat. Add green and red pepper, zucchini, onion and garlic. Season lightly with salt and pepper. Saute for about 5 minutes until veggies are softened. In a large mixing bowl, combine, veggies, chicken, pasta, cream of mushroom soup, 1 1/2 cups of the cheese, season salt and cayenne pepper. Mix until combined. Stir in 1 cup of the reserved cooking liquid until well combined. Stir in as much of the remaining liquid as needed to make the sauce creamy. You don’t want it to be too dry. Add salt and pepper to taste. Spoon mixture into either 1 – 9×13 baking dish (that’s been coated with cooking spray) or 2 – 8×8 baking dishes. Sprinkle remaining 1 1/2 cups of cheese over the top. Bake for 30 to 45 minutes in an oven preheated to 350 degrees, until bubbly and cheese is golden brown. Or you can cover with foil and refrigerate for up to 2 days or freeze for up to 6 months. If you bake this immediately, it will probably take closer to 30 minutes to bake. If the casserole is cold when you bake it, it will probably take closer to 45 minutes to bake. Dry January requires a special drink. That special drink comes in the form of mocktails. 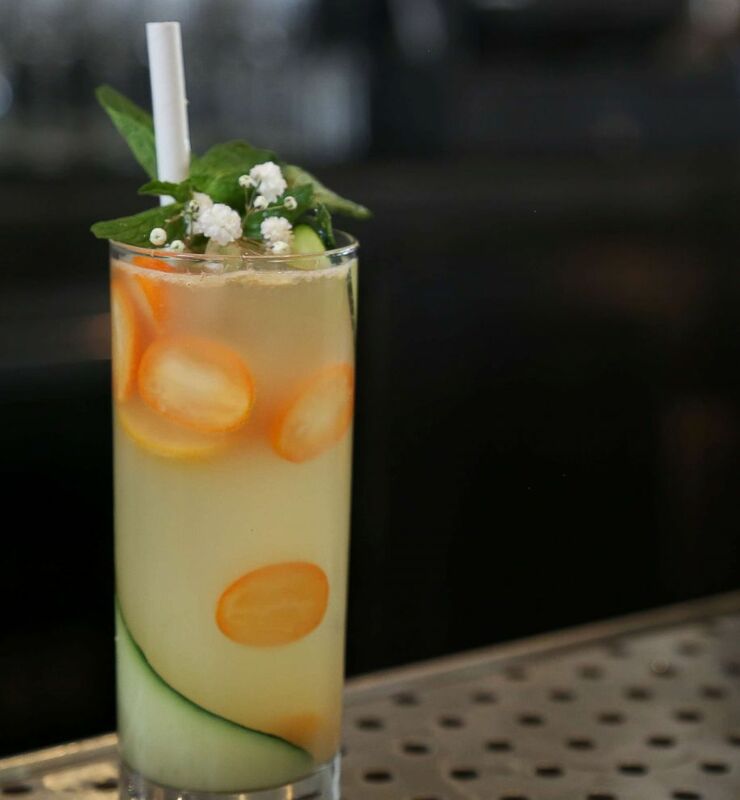 This non-alcoholic cocktail is extremely popular for those wanting to get away from alcohol. Some mocktails go outside the box with new flavour combinations, yet there are those that still desire the same type of flavors of the popular cocktails like pina colada. In addition many bars and clubs now have a space on the drinks menu showcasing the fruit based options with non alcoholic drinks about 1/2 price of the alcoholic counter parts. Want to try making a mocktail at home for you and friends?? Here is one recipe I think you will like. Method: Muddle the kumquats and yuzu in a bar tin. Add chamomile tea, simple syrup and a single ice cube to the bar tin and shake vigorously to combine. Fill a high ball glass halfway with ice and add the soda water. Pour the tin’s contents into the prepared glass without straining. Top any remaining space in the glass with soda water and garnish with a straw, mint sprig and Baby's Breath. Melt the white chocolate chips in a medium sized bowl according to the package directions. Once the chocolate chips are melted, stir in the strawberry frosting until combined. Then gently stir in the crushed pieces from the Oreos. Spread the fudge in a greased 8x8 pan. 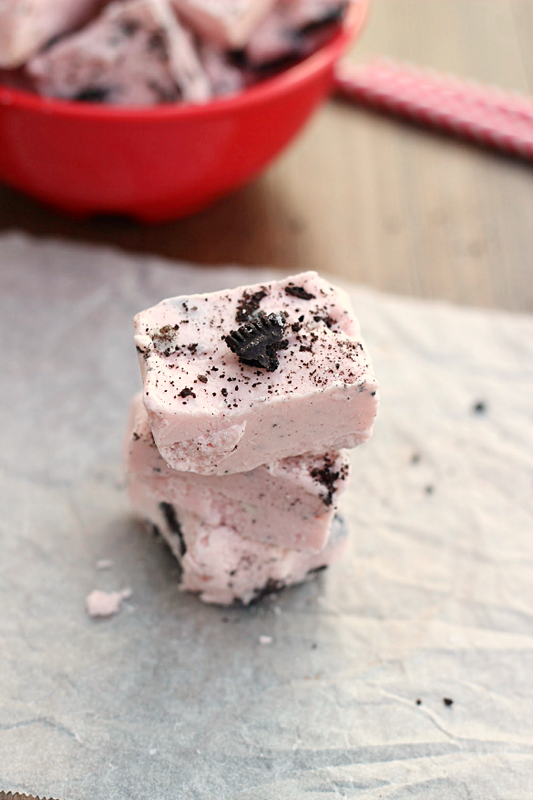 If desired, sprinkle the additional crushed Oreos on top of the fudge. Refrigerate for 30 minutes to set. Cut into pieces to serve. Store fudge in the refrigerator. Mix together light corn syrup, peanut butter and salt in a saucepan. Bring to a boil and cook for 3 minutes stirring constantly. Pour over Rice Krispies in a large bowl and quickly stir to coat. Spread onto a piece of parchment paper. Break apart the large pieces and allow the peanut butter crunch to cool. Combine crushed Nutter Butter cookies with melted butter. Press into the bottom of a 9 inch springform pan. Working quickly, make the peanut butter ice cream by mixing together the slightly softened, vanilla ice cream, 2 cups of the peanut butter crunch and 1 cup of peanut butter. Scrape into the springform pan and spread it out. 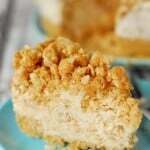 Top with remaining 2 cups of the peanut butter crunch and gently press into the ice cream cake. Cover the springform pan and place the ice cream cake in the freezer for 4-6 hours or overnight to harden. When ready to serve, remove from the freezer and carefully remove the sides of the springform pan. If you have a difficult time removing the sides of the pan, run a thin knife around the edge first. Leave the bottom of the springform pan in place and set the entire thing on a platter or plate. To cut the peanut butter ice cream cake, dip a knife in very hot water, quickly dry it off and use the hot knife to cut the ice cream cake. January is National Radon Action month. The Environmental Protection agency is asking homeowners to "save a life" by testing for radon and making any needed repairs. Radon---- radioactive gas that can cause cancer. Radon can not be seen, smelled or tasted. It may be present in your home and you may not be aware of it. Radon is the second leading cause of lung cancer in the United States. Radon can cause 21,000 lung cancer deaths a year only smoking causes more. myth--- radon is not a problem The CDC and Prevention, the American Lung Association and American Medical Association estimate that radon can cause thousands of preventable lung cancer deaths each year. Myth--- Radon testing is difficult, time consuming and expensive Radon testing is easy A self test or a professional radon test company can perform the test that only takes a small amount of time and effort. Myth--- if a home has a radon problem it can not be fixed This is not true thousands of homeowners have been able to fix radon problems in their homes with similar amounts to fixing other home repairs. Have you ever stopped and wondered how things got started?? As a full time worker we get 2 coffee breaks and a lunch break. Now days this is nearly a state law to take time out but how did the coffee break get started?? In the early days of business individuals would gather around a pot of stuff boiling over an open flame or hot coals. Sharing of the news and trading tips would take place as they sipped the drinks in their cups. When mass production entered the work day there was less time to meet around the pot. There seemed to be no time to take a break and so the long days seemed to go on and on. An American psychologist J.B. Watson and many other behaviorists believed people could be trained to react in predictable ways through repetitive actions. Maxwell House coffee and Watson were able to work together to create Americas coffee break. 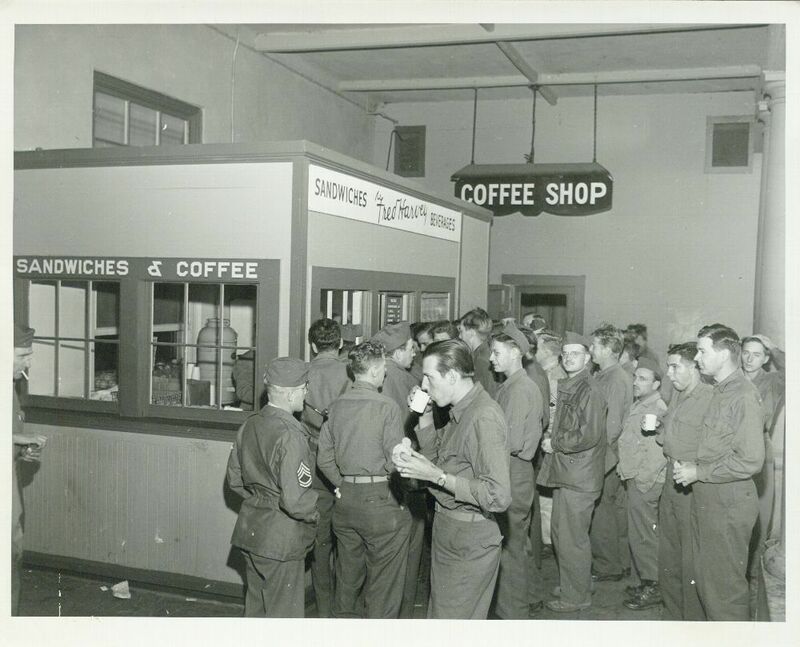 Today, coffee breaks take place in homes, workplaces or nearly everywhere. 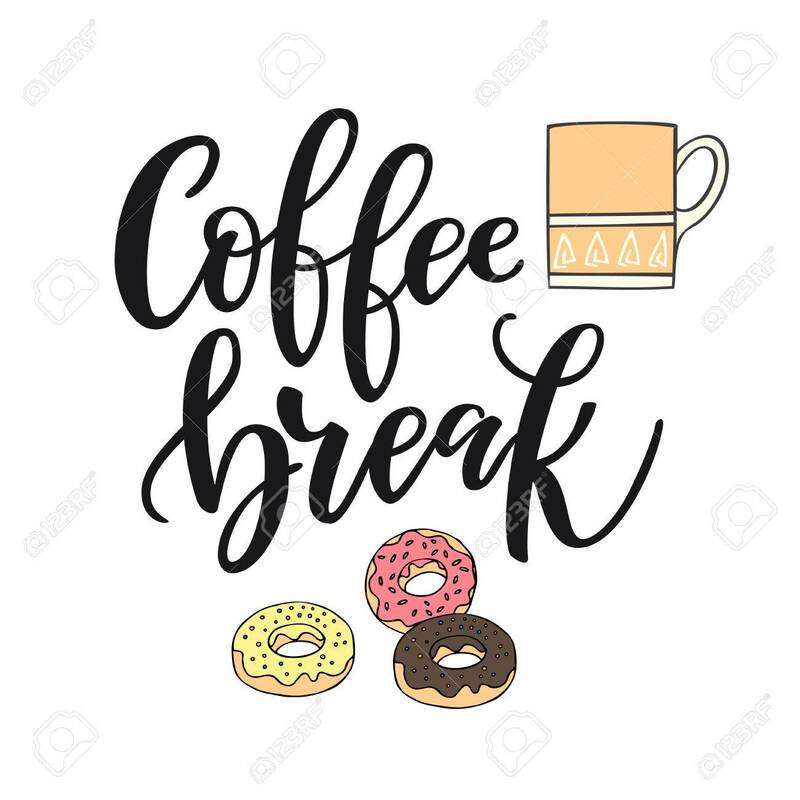 No matter how the coffee break originated Americans around the country celebrate break time with or without a delicious cup of coffee. A full email inbox can be overwhelming. The volume of email that we receive can be more than we can handle. The problem will only get worse if you do nothing about it . 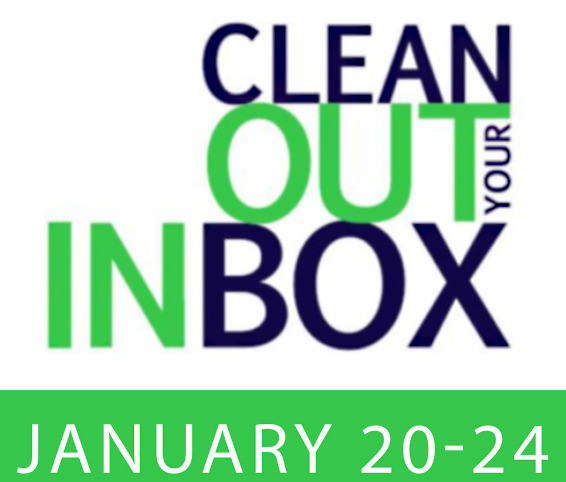 So why not get your inbox under control and start the year off free from that tonnage of email. 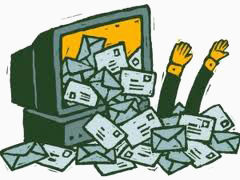 These few steps will help to reduce the email pile and help make your social life easier. Tips to Drive Safe in Winter Weather. The tip of the trick of driving is to leave a car distance between you and the car in front of about 3 seconds. In winter weather it is a better idea to leave more time between you and the car in front of you Icy Roads will slow you to stop fast enough. When using your brakes provide constant pressure to your brakes to give them better braking and steering control. More braking room is often needed in winter weather. On snow covered roads drive in the ruts created by tire tracks. The ruts allow traction which allows you to change lanes slower and smoother. All Wheel Drive vehicles offers a false sense of security even four wheel drive does little in slippery conditions. 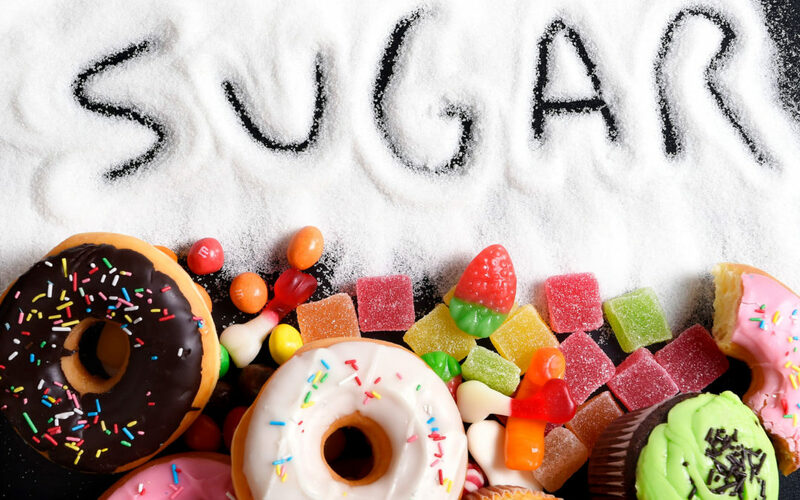 Scientist have demonstrated that a high sugar diet can lead to some very damaging health risks. This type of diet has been shown to be linked to increased risk of high blood pressure, high cholesterol, reduced "good" cholesterol, inflammation, insulin resistance, obesity, type 2 diabetes and heart disease. However, not all sugars are bad for the body. Even good sugars can be overdone. The USDA recommends that only an average of 2 cups of fruit and 3 servings of dairy a day be in the diets of adults. Spot the sweets. 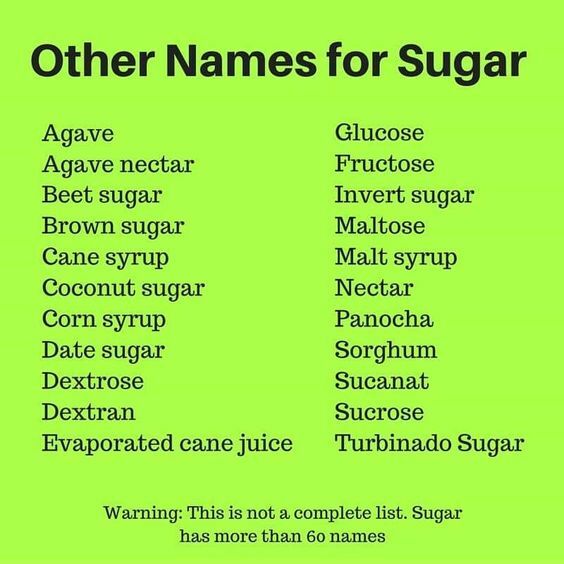 You know to avoid sugar, but there are lots of other names for sugars that are lurking on food labels. 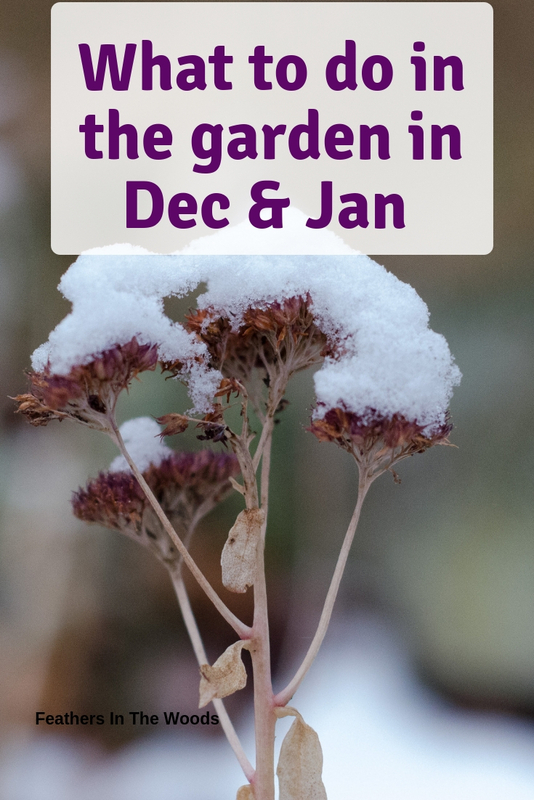 Winter time is a time of retreat for many gardeners. After pruning, planting, winterizing, fertilizing, mowing and sowing the time to rest has come. Gardening can be hard work with all the composing, and planting a welcome retreat of winter is almost looked forward to. Gardeners can clean up pretty good both during and season and in winter season as well. However, like most things the rest and retreat comes to an end and that makes gardeners happy as well. Sometime after the first of the year a sort of feeling, you can call it an itch starts to develop. While gardeners have enjoyed the much deserved rest we begin to dream of getting our hands dirty and working in the garden again. Since the weather outside in most location is not preferred gardening weather the dreams become plans. Perhaps this is the reason January is National Mail Order Gardening Month. Companies are aware that gardening runs deep and that the winter leads to dreams of gardening. Mail order catalogs start arriving in the mail around this time of year bringing with them promises of big blooms, delicious garden plants and award winning plants as well. 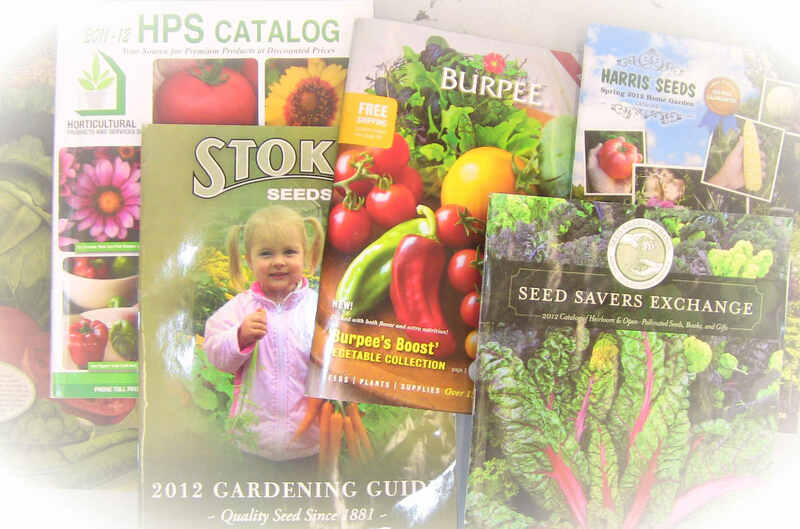 Using this catalogs will help any gardener create a game plan. Thus allowing an easy way through the internet or telephone to purchase just the right plants to arrive at the perfect time in your area. Design help through award-winning plant collections and pre planned gardens. The wisdom of experienced plant and seed growers, who kindly ship plants at the correct planting time for your region, complete with instructions. Be prepared to place your plants in the ground a.s.a.p Know where you will place plants and if possible have that area pre prepared. Will you need mulch or fertilizers?? Sweet Tea is a rich part of history. In 1795 the first tea plantations in the United States arrived in South Carolina and a few tea plantations survive today. One of the earliest, if not the first, sweet tea recipe appeared in the Housekeeping in Old Virginia cookbook by Marion Cabell Tyree in 1879. It is true that sweet tea is richly ingrained in the history of the south. 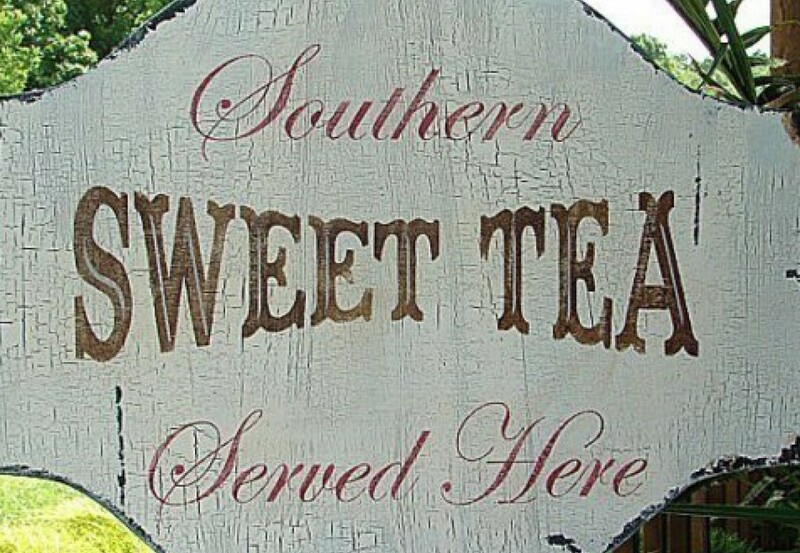 The movie Steel Magnolias has Dolly Parton proclaiming that sweet tea was "the house wine of the south"
One difference that has taken place in sweet tea from the early days is the type of tea used. Green tea was commonly used in iced tea until World War II. After that time green tea that was imported was replaced with Americans black tea from India. Many are not quite sure what sweet tea is. 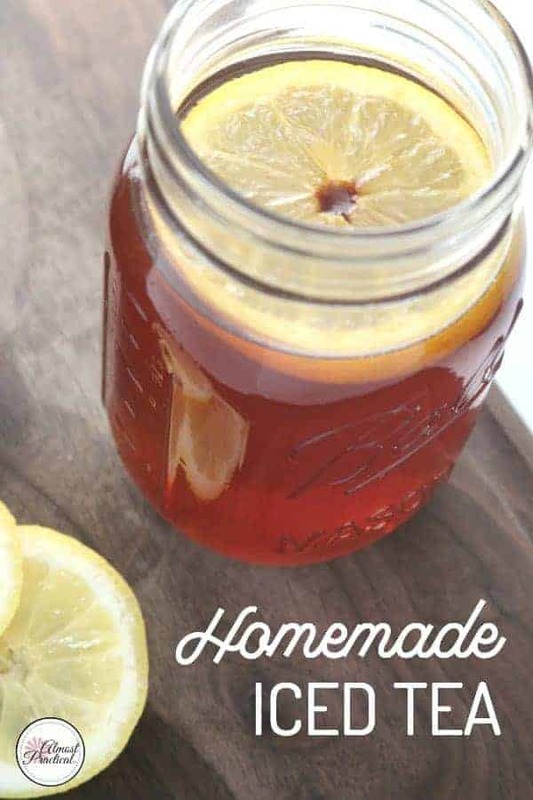 Some refer to sweet tea as a glass of tea that has had a spoonful of sugar to a glass of iced tea which may be sweet tea to some but sweet tea is normally made in large batches and kept chilled in the fridge prepared ahead of time for visitors. Boil the water. Bring 4 cups of the water to a boil in a small saucepan over medium-high heat. Remove from heat. Steep the tea for 5 minutes. Dunk the tea bags a few times in the water to fully hydrate, then leave submerged with the strings hanging over the side of the pot. After 5 minutes, remove the bags and discard. Add the sugar to the tea. Add the sugar and stir until completely dissolved. Pour the tea base into the pitcher. If using multiple pitchers, divide the tea evenly between them. Top off the pitchers with water. Add 3 more quarts of water to the tea base to make a gallon of sweet tea and stir to combine. Refrigerate until very cold. Refrigerate for at least 4 hours or, ideally, overnight. Serve over ice. Pour the sweet tea into ice-filled glasses. Add a sprig of mint or a slice of lemon to each, if desired! Sweet tea is best kept cold in fridge. Tea will stay fresh for about a week. If you prefer a stronger tea pour the tea and sugar at the same time. Stirring will help dissolve sugar and allow the tea to steep up to 3 hours. Do not remove tea bags but let them remain the entire steeping time. How sweet is up to the sweet tea drinker. Add a bit of extra sugar 1/4 cup at a time to the full batch of tea before placing in fridge to add sweetness. Stir tea so the sugar dissolves and then place in fridge. If you prefer less sugar that can be done as well. 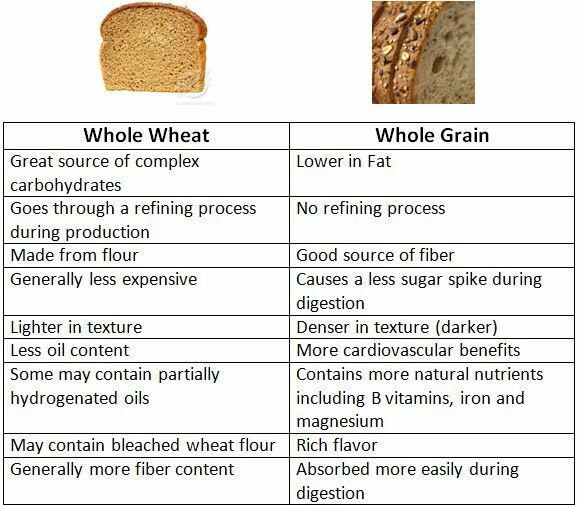 In addition the terms "whole wheat", "whole grain" and "whole grain white" don't mean anything So buying whole grain or whole wheat to us helps us feel like we are doing something good but taking a look at the label some barely meet the minimum. Don't simply buy the 100% whole grain labeled bread as the bread could be made up of bleached white flour. 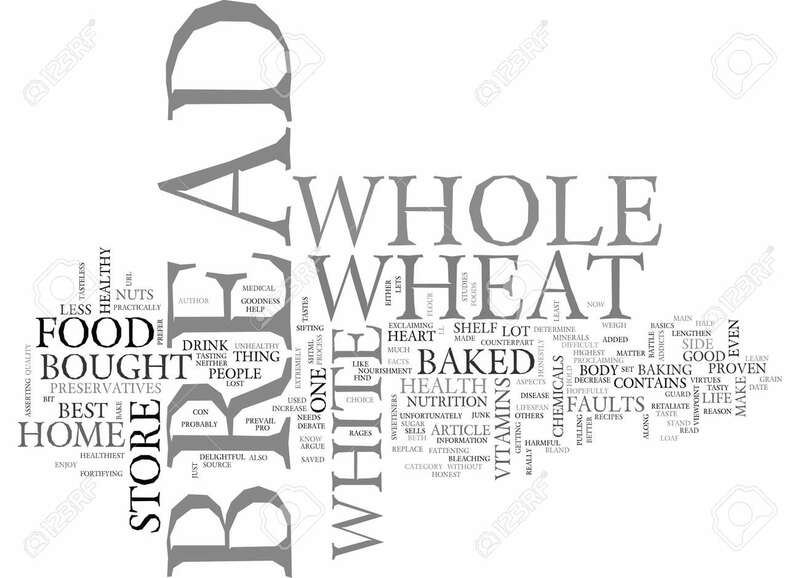 However, breads that carry the label 100% whole wheat is the one to go for. When you finally find that wheat bread you trust be sure to use it all up Here is a great recipe to help make sure none goes to waste. Mix cream, almond milk, eggs, sugar, butter vanilla, cinnamon, nutmeg and baking powder, flour. Put the cut up bread in a pan. Pour mixture over whole wheat bread and let it sit for 5-8 minutes so the mixture absorbs into the bread. Spoon entire mixture into your baking pan. Bake until it is golden brown and firm when you touch it, around 40-45 minutes.